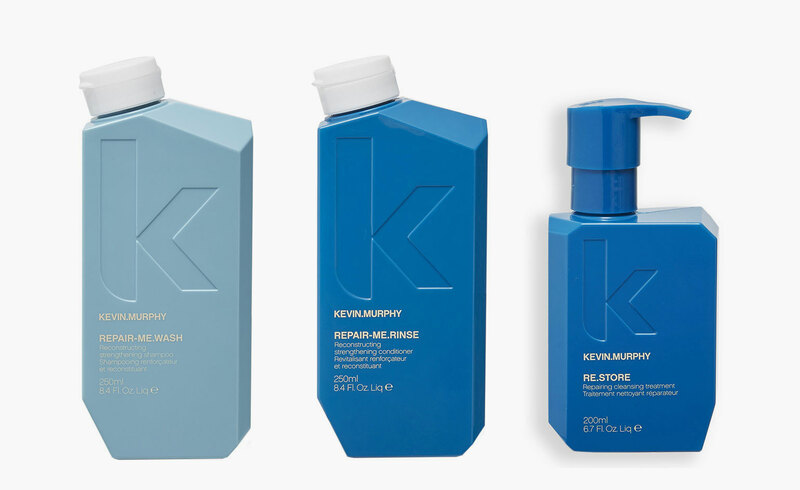 Kevin.Murphy Repair.Me and Re.Store line...to repair, treat and condition hair, this three-part system will reconstruct damaged hair. Kevin.Murphy Doo.Over...A dry powder finishing hairspray for instant volume and hold! Kevin.Murphy Killer.Curls...A leave-in anti-fizz curl creme to enhance curls and add volume. Rusk Smooth Foam...reduces blow dry time by 50% and keeps hair smooth for up to 5 WASHES after first use! This is a very popular item and does not stay on our shelves for too long...please call to pre-order! Rusk Heat Shift...protects hair from heat and allows you the flexibility to change up your hair style...go from curly one day to straight the next! Rusk Elixir Mist...this serum helps add shine and protects your hair and colour from thermal heat and UV damage.